The Partido de Trabajadores Socialistas expresses its most emphatic condemnation of the massacre of 34 mineworkers in South Africa, perpetrated by the police, in the context of a strike for an increase in wages that the workers had been carrying out since August 10 in the platinum mine belonging to the British multinational Lonmin, the third-largest platinum mining company in the world. The scenes of police violence and brutality recall the worst repressions of the apartheid regime, like the Sharpeville Massacre in 1960 or the Soweto Massacre in 1976. This massacre was carried out with the support of the African National Congress government and the ANC-linked National Union of Mineworkers, belonging to the COSATU (Congress of South African Trade Unions) union federation, that, as the mineworkers are charging, have been collaborating with the government and management to break the strike. The union bureaucracyâ€™s collaboration with the employersâ€™ interests led a significant group of the minersâ€™ rank and file to break with the ANC-linked union and to get organized in a new union, the Association of Mineworkers and Construction Union, that is currently leading this strike. This process of the emergence of new unions, outside of the traditional organizations, covers other groups of the proletariat, like the transport unions, and expresses the fact a vanguard of workers has begun to draw the conclusion that it is necessary to develop organizations that will defend the workersâ€™ interests and will be independent of the African National Congress government and the employers. 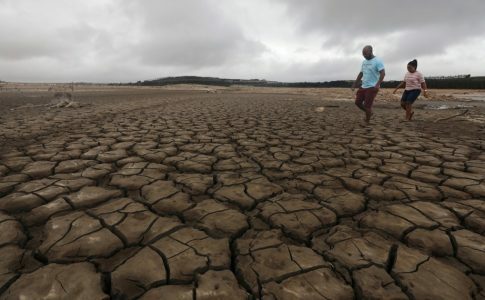 This strike is part of a wave of protests that has been shaking the poorest workersâ€™ neighborhoods in the country, demanding housing and public services, at a time when the capitalist crisis is seriously affecting the South African economy, largely dependent on Europe. The background of this widespread discontent is the obscene social inequality in a country where half the population of 50 million lives under the poverty line, and official unemployment is rising to a rate of 25%. 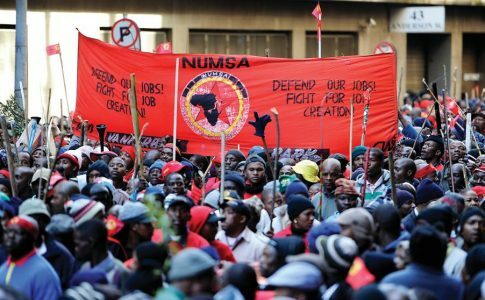 A little more than 20 years after the apartheid regime was ended, a result of decades of revolutionary struggle, the structural situation of South African workers has not changed. Under the government of the African National Congress, that, with Mandelaâ€™s leadership, accepted a solution to apartheid negotiated with imperialism and the white ruling class, avoiding its revolutionary downfall in that way, subordination to imperialism has been maintained, by implementing even plans for privatization, keeping conditions of precarious employment and low wages. The minersâ€™ strike and the emergence of new workersâ€™ organizations is a symptom of the fact that advanced groups of workers are beginning to draw this conclusion, opening up a potentially explosive prospect. From the PTS, we express our solidarity with this heroic struggle, that is part of the numerous battles that the exploited have been waging against the capitalistsâ€™ attempts to make them pay the costs of the capitalist crisis.